A lot of the HoloLens apps will sometimes render the mesh it scans to show you which surfaces it has detected – it can give a really cool effect to understand the play space. Also if you’re using the Emulator, you won’t actually be able to see the virtual room.you’re placing holograms in, so being able to render the spatially mapped mesh can be useful for building apps if you’re not among the lucky few who has an actual HoloLens yet. 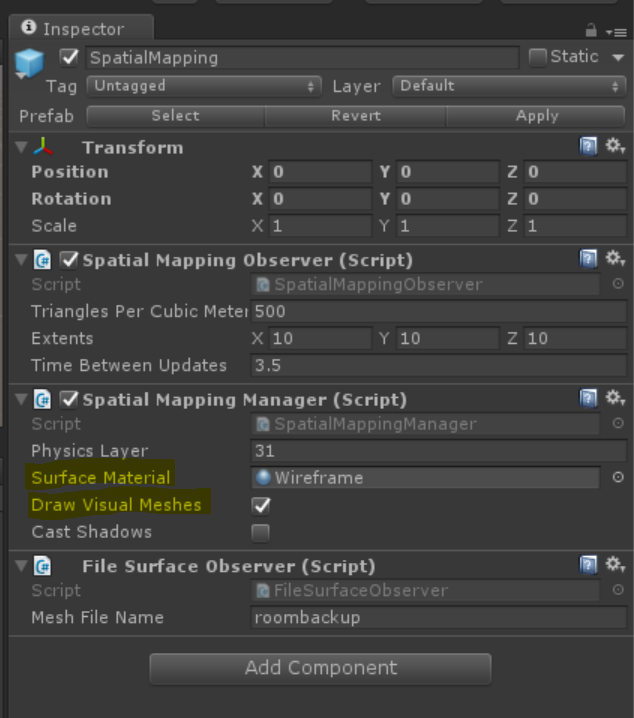 So let’s use the spatial mapping mesh we get from the HoloLens sensors and render it inside the application. First make sure you installed the HoloToolkit into your project. 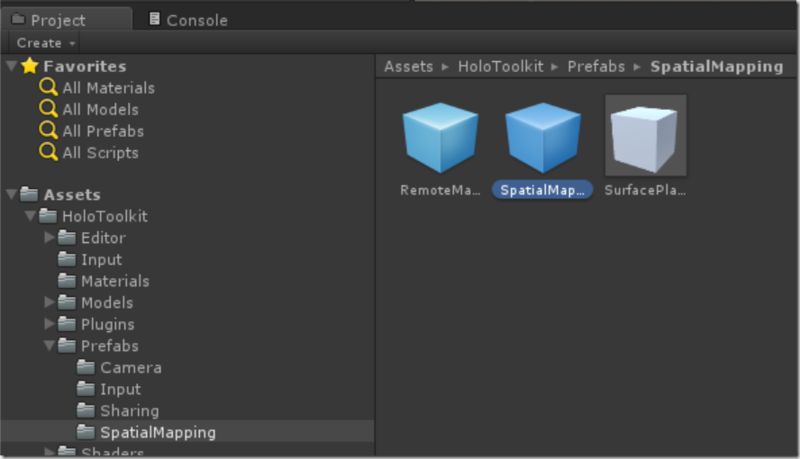 From HoloToolkit\Prefabs\SpatialMapping drag the SpatialMapping prefab into the root of your Hierarchy. 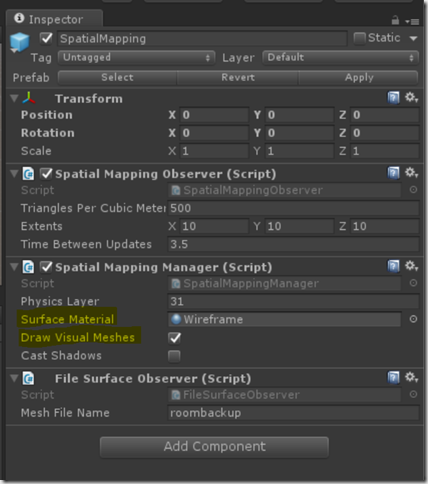 Select the added “SpatialMapping” object, and ensure “Draw Visual Meshes” is checked on. The default material is the “Wireframe”. Feel free to experiment with other materials. Build your app and deploy it. You should now see the mesh rendered on top of walls, floors etc.